I was crushed to read that Norm Hollyn passed away this weekend. He and Lou Stathis were among my first friends in fandom. We connected through fanzines while in college at opposite ends of the country, USC for me, SUNY Stony Brook for Norm (then, Hochberg) and Lou. I’d seen their fanzine Xrymph mentioned in Arnie Katz’ Focal Point and we started trading. I wish I could say I was doing Prehensile by then, but in truth I was probably still doing the execrable New Elliptic, so it’s almost unbe­lievable that they actually read it, let alone gently critiqued it in occa­sional letters. We hung out at the 1972-1974 Worldcons, and I visited them in New York. Of course, the way life works, it has been years since I talked to Norm although he wasn’t far away, having become a faculty member at my alma mater’s School of Cinematic Arts after working for several decades as a film editor. He was the author of two important books on the subject, and a popular mentor. It was shocking to read on Facebook that he died a few days ago while lecturing in Japan, from a coronary embolism and subsequent cardiac arrest. Norm flew out for L.A.Con in 1972 — he came with me to the first Hogu Ranquet. The following year I rendezvoused with Norm and Lou at Torcon 2. We were equally new to fandom, trying to forge an identity in it and make friends. I visited them in New York after Discon in 1974, driving up from Wash­ington D.C. before returning to Ohio for graduate work in Bowling Green’s popular culture pro­gram. I had that carefree, broke-student quality of denying even my VW Bug’s most outra­geous mechanical problems, like the rear tire that wobbled uncontrollably whenever it hit a bump, but could be put in order simply by braking to a stop. I hadn’t thought to mention this to Norm and Lou until we were on the Cross-Bronx Expressway, swooped into one of its elephantine potholes and started to shimmy violently. We stuck with public transit the rest of the week. By the time I really was publishing Prehensile, Norm had also started another fanzine, Regurgitation Six, with a title designed to leave some wondering what happened to the first five issues, at least until they received Regurgitation Six #2. Norm went from Hochberg to Hollyn when he married for the first time, he and his spouse merging their names into a new surname. Early in his career, he served as an apprentice sound editor on Bob Fosse’s Lenny (1974), an uncredited apprentice editor on Sidney Lumet’s Network (1976), an assistant music editor on Milos Forman’s Hair (1979) and an assistant editor on Alan Parker’s Fame (1980). I heard him speak with pride about his work as music editor on The Cotton Club (1984), and soon many would recognize him as the editor on Heathers (1988). He also was film editor on the 1993 Oliver Stone-produced ABC miniseries Wild Palms and on It’s Pat: The Movie (1994). During the next phase of his career as a writer and a teacher, Norm passed on his professional knowledge to the new generation. 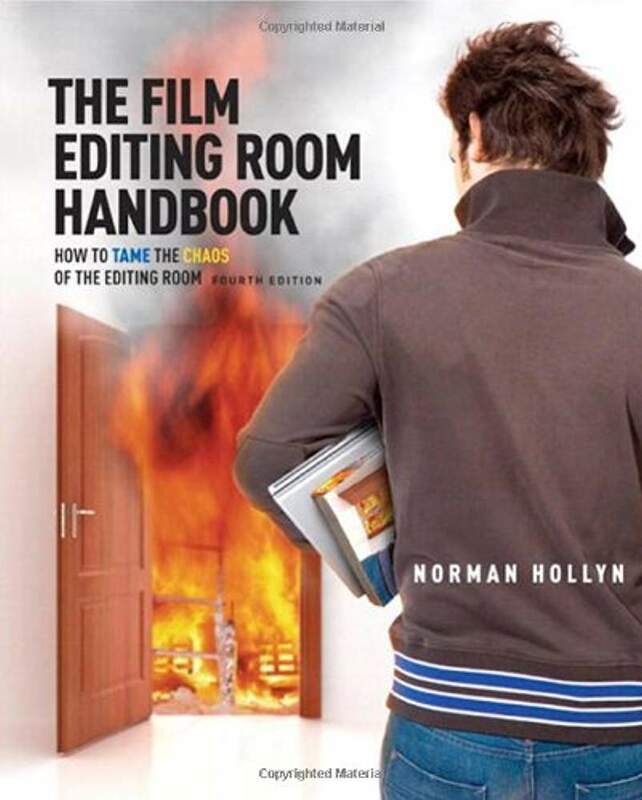 His book The Film Editing Room Handbook, first published in 1986, is regarded as a standard in the field. 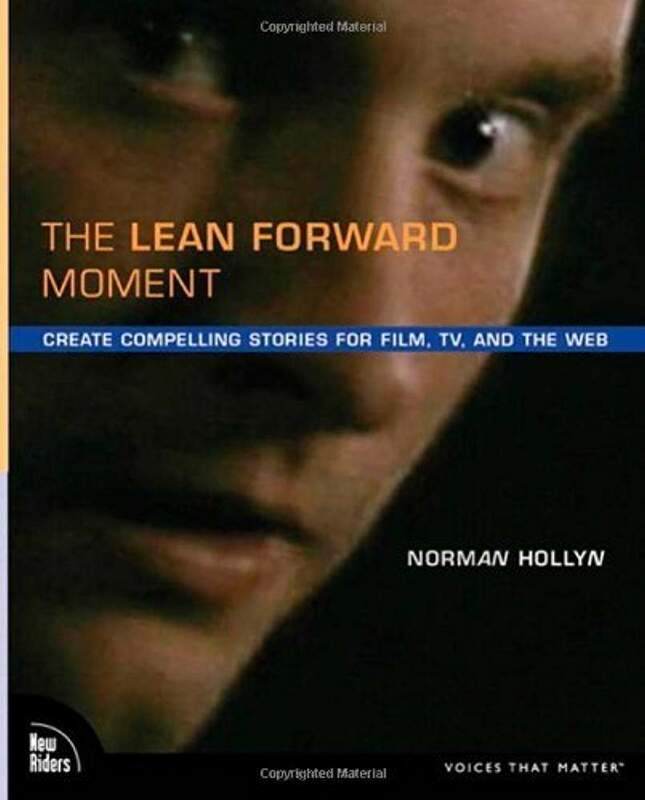 In 2009 he followed with The Lean Forward Moment: Telling Better Stories for Film, TV, and the Web. He published nearly 100 articles in magazines and peer-reviewed journals. 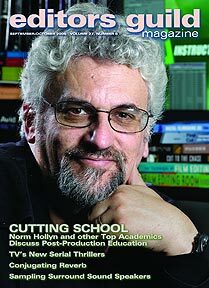 He joined the faculty of USC’s School of Cinematic Arts, rose to full professor, and in 2013 became the first to hold the Michael Kahn Endowed Chair in Editing, . He served as President of UFVA, the largest association of production-based cinema university professors. He taught workshops all over the world – in Europe, the Middle East, India — and the very last time, in Japan. His survivors include his wife, Janet, and daughter, Elizabeth. This entry was posted in In Passing and tagged Norman Hollyn by Mike Glyer. Bookmark the permalink. Sympathy to his friends and family. Boy, his IMDB entry is way out of date- anyone want to take on that task? I met Norm about 1972-3, and I think we were possibly on some APAs together. Thank you for letting us know a little more about Norm. I met Norm in June of 2008, where he was presenting at the then Los Angeles Final Cut Pro User Group. I had learned of him earlier that year, as I was beginning my journey into editing. I brought one his books and he signed it for me. We talked at pizza afterwards and have been friends ever since. Norm was the greatest guy and helped so many people. One of the last conversations I had with him, earlier this year, he asked me about my podcast and gave me advice on it and suggestions. I was, of course, amazed that he had even listened to it. But that was him. The editing community is devastated by his passing. Social media is filled with tributes and heartbreak. I miss him so much. Like you, I’ve been a friend of Norm’s at a distance for decades now, but I knew him from my years of living in New York (1971-1977). I’m very sad to hear he’s gone. Sad to hear this, Mike. Not sure I ever met Norm, but certainly remember his name from fanzines of the day, and was pleased to hear he was a success in the film editing industry. Gotta say, tho’, “Regurgitation Six” sounds like it should have been the worst superhero team ever. Really upsetting. I hung out with him and Moshe Feder and a whole bunch of other people—now dispersed to the four corners of the world or, nowadays, passed away—at Fanoclast meetings in NY back in the 70s. I still wonder what happened to so many people I knew decades ago. In Norm’s case, now I know. We are all of us getting effing ancient. It’s good to survive, but it’s utterly crappy to see the passing of so many friends from our youth. FWIW, I looked for photos of him from those days in my photo files, but found none. I’m sorry to hear that. Norm and I collaborated on an effort to revive Little Abner in 1990. Permission to do so was withdrawn about ten days before we were to sign the contract. Norm was indirectly responsible for my getting involved in apas. As Mike might recall, then a New Yorker (“Nyucker”), he felt that TAPS (Terrean [sic] Amateur Press Society) had an imbalance of Californians (“Califers”), whereupon Gary Tesser recruited me. Thanks for this. 1970s NYC Fanoclasts survivors seem to be becoming a tontine. At least I, and so many others, can appreciate having so much contact and conversation with Norm on Facebook over the past decade. I am as shocked as everybody else that Norm is gone. I met him, along with Lou Stathis, at Stony Brook, when they joined the Science Fiction Forum. I encouraged them to be active, and they were eager to be part of what we were doing. Together they pubbed the clubzine, Xrymph, and it was a lot of fun. I wasn’t as close to Norm professionally as Lou and I were close, but we always were friends, even if there were years between when we saw each other. And most of all, besides his career accomplishments, Norm was always a good guy, a good man. This is a terrible blow. I feel for his wife and daughter. I can hardly believe this awful news. We had lunch the last time I was out in LA and it was great to see him being so happy and successful as a teacher of his craft. He was a great guy who was always a pleasure to be around. I’m stunned by this sudden loss and sad that we will never meet up again. Too young! We came into Fandom in that magical Era of late-60s – early-70s and reconnected on FB in recent years. He told me that he fondly remembered my fanzines and cartoons. That really meant a lot to me. We were all so very young. Dan Steffan (I think) named our gang The Class of ’69. Sigh.